All legs of Tulsa's I-244 Inner Dispersal Loop are now open to traffic, and numerous representatives and dignitaries came to celebrate with a ribbon cutting last Thursday, including U.S. Rep. John Mica, R-Fla, Chair of the House Transportation and Infrastructure Committee. Garver provided road and bridge design on a portion of the $70 million stimulus project, and project team members were on hand to recognize the project's major achievement. Constructed in the 1970s, the IDL pavement had worn out and needed replacement. 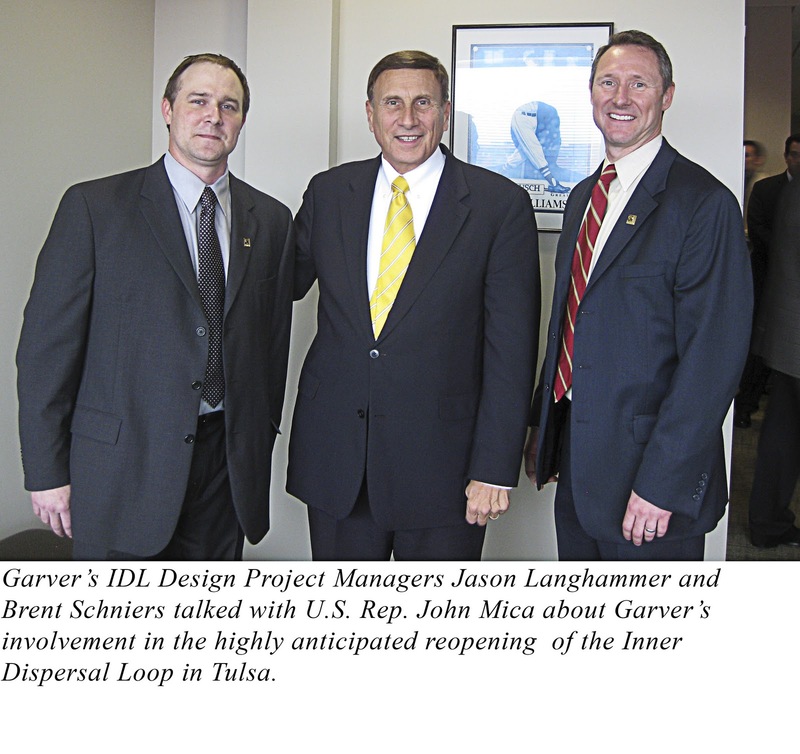 Located in the heart of Tulsa, the IDL handles 62,000 vehicles daily, and rehabilitating the loop became a massive undertaking. 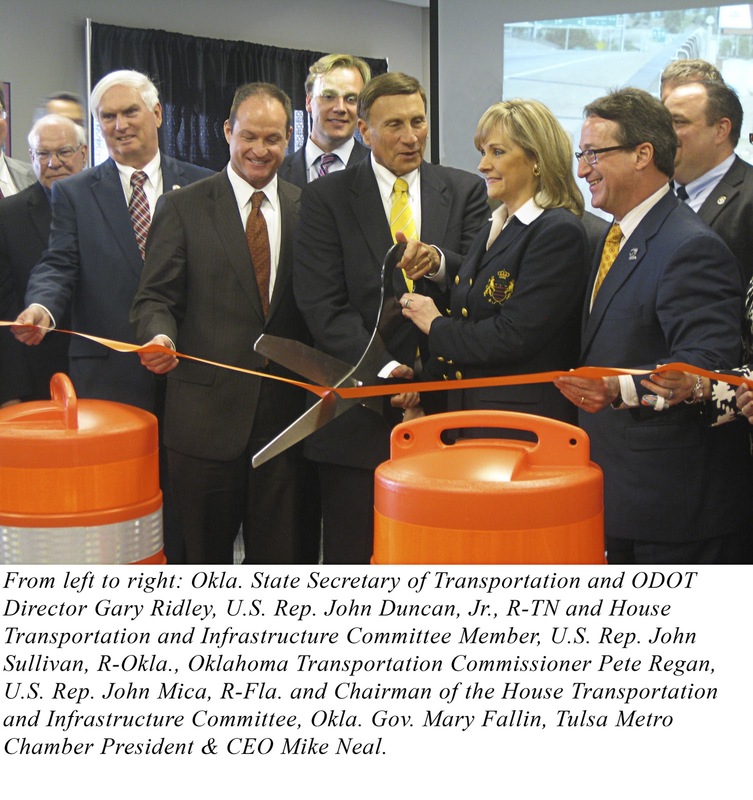 In fact, when ODOT assigned the project to multiple contractors, it was the single largest project ever let by the Department. Various media outlets covered the event. Additional information can be found below.